 Log In needed LIVE REPTILE SHOWS at Schools, Birthday Parties, Events and More! 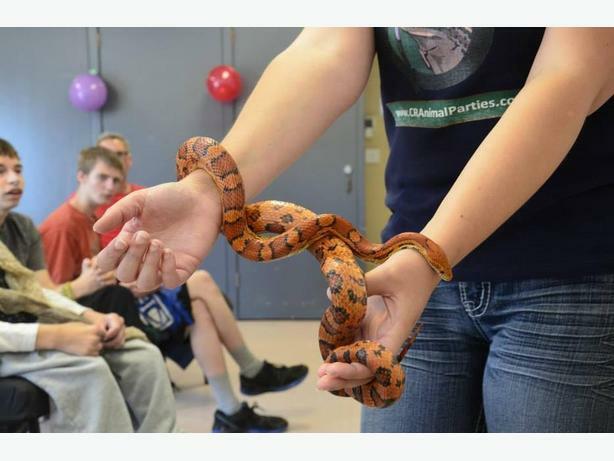 VI Creature Teachers offers live, educational reptiles shows to the Vancouver Island community. Our entertaining and hands-on approach allows participants of all ages to get up close and personal with exotic snakes, lizards, amphibians and invertebrates in the comfort of their own home, school or office. These shows are ideal for birthday parties, classrooms, daycares, preschools, elderly care facilities, fundraising events, block parties, stag and doe celebrations, weddings and so much more. Invite our cold-blooded crew to your next special event and make it an unforgettable experience that everyone will be talking about! VI Creature Teachers - Offering edu-tainment at its finest. Bringing the Zoo to You Since 2012! Book your animal party today!